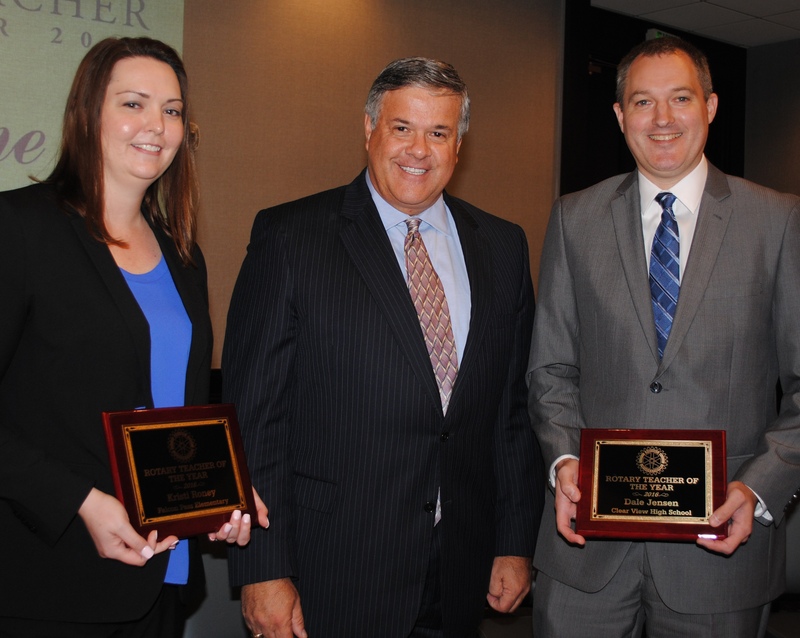 Clear Creek ISD Superintendent Dr. Greg Smith, center, congratulates the district’s Elementary Teacher of the Year Kristi Roney and Secondary Teacher of the Year Dale Jensen during Rotary Teacher of the Year Luncheon May 16 at South Shore Harbour Resort. Forty-four Clear Creek ISD teachers were honored and two were named Teachers of the Year when three Bay Area Rotary Clubs hosted a luncheon May 16 at South Shore Harbour Resort to celebrate excellence in education. Dale Jensen, who has 18 years experience in the education field and teaches 9 th through 12 th grade students at Clear View High, is CCISD’s Secondary Teacher of the Year, and Falcon Pass teacher Kristi Roney, who has taught both third and fifth grades in her 10 years as an educator, is the district’s Elementary Teacher of the Year. Both were greeted with thunderous applause when CCISD Superintendent Dr. Greg Smith called out their names before the crowd of several hundred educators, Rotarians, elected officials and members of the business community who came to honor those who mean so much in our lives. 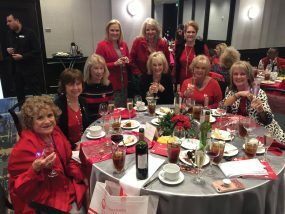 Besides the two winners, others finalists for the key honor were Bonnie Jeffcoat of Sandra Mossman Elementary, Stephanie Hirsch of North Pointe Elementary, Katie Batenhorst of Clear Creek High and Tiara Toney of Clear Creek Intermediate. 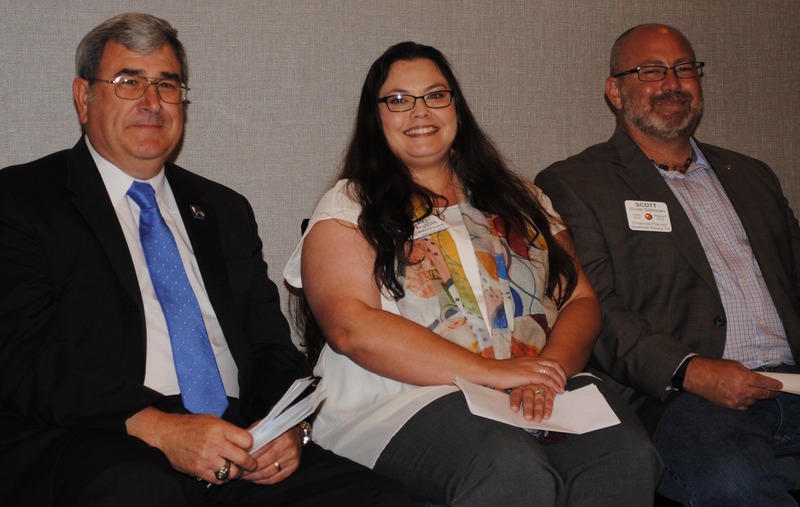 Rotary Club Presidents John Branch of the Space Center, Amy Kilgore of League City and Scott Stillman of Seabrook prepare to address the crowd at the Rotary Teacher of the Year Luncheon at South Shore Harbour Resort.